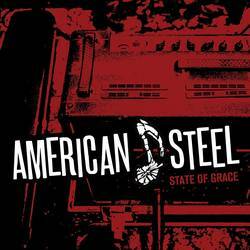 American Steel always felt a bit under the radar, despite releasing albums on Lookout and Fat Wreck. While they’ve been on well-known labels, they don’t get the same accolades as some of their peers. It feels fitting, in that way, that the band just released a new 7” seemingly out of nowhere. The band hadn’t even played together in five years before they released this 2-song EP in late 2018 as the music press was focused on year end lists. The band is still in top form, even if they put this together over the internet with bassist John Peck now living in Germany. While I’ve been a fan since their hard-to-find debut, I felt like Dear Friends and Gentle Hearts really pulled all of their different influences together into a single package. They pick right up with State of Grace which has the heart and soul of Jagged Thoughts, the melodic sensibility of Communique, plus that bubbling beneath the surface frustration that defined their earlier releases (though it’s more subdued now). The two songs here merge the complex emotions of real life with the more visceral punch and snarl that keeps me in this scene after so many years. A-side “State of Grace” rings in the familiar key and reflects on maturation, the music scene, and more. It’s a tongue-in-cheek look at life in a band, which feels more potent because it’s also the first post-hiatus song from the group. It’s more reflective that way, as the band look back on their formation, what playing music gives them, and the hardships that come with this way of life. While it’s tongue-in-cheek, it’s no gimmick. The band’s strength has long been the authenticity of their delivery, taking the best of early emo, supercharging the energy, and straining out the melodrama. “This is our state of grace,” indeed. The B-side, “Should Have Died Young (Playing Rock and Roll),” fits a similar theme, celebrating the beauty in life instead of the time wasted commuting to and fro. Side A brings the heart, Side B brings the punch. Each song represents what the band has been doing since the late ‘90s: reflecting different sides of the coin. It’s a beautiful, emotional journey that conveys the nuance of daily life with a cathartic blast to overcome the many bumps along the way. It’s also a fitting companion to the Every New Morning single for those with a stack or 12 of 7”s at home. Posted Feb. 11, 2019, 5:26 p.m.
Posted Dec. 7, 2018, 7:59 p.m.
Posted May 23, 2016, 5:23 p.m.
Posted Oct. 12, 2004, 11:44 a.m.